For the first time in the Red Sea, a monthly climatology of mixed layer depth (MLD) has been derived based on in situ temperature profiles. 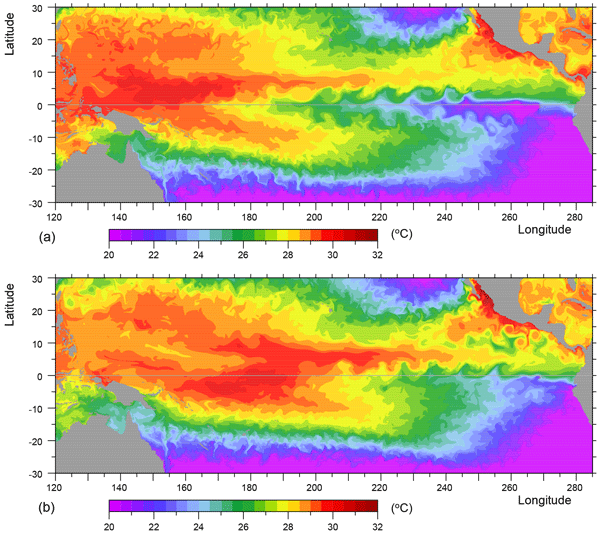 The Red Sea MLD pattern displays significant spatial and temporal variability with exceptional features. The MLD variability is dominantly driven by wind stress in the southern part, while heat exchange plays a major role in the remaining parts. The eddies and the Tokar Gap summer jet winds are significantly changing the MLD of the localized regions. A full-depth-rated conductivity–temperature–depth profiler with carousel~multiple sampling (CTD-CMS) system on the research vessel R/V Kaimei can illuminate the last frontier, i.e., the hadal zone, an oceanographic province deeper than 7000 m. A series of biogeochemical observations of hadal seawater at the Izu–Ogasawara and Mariana trenches revealed basically well-mixed hydrographic properties and a heterogeneous distribution of likely sediment-derived compounds. Hydrographic analysis in the Atlantic along 14.5° N and 24.5° N shows that between the periods of 1989/92 and 2013/15, the Antarctic Intermediate Water became warmer and saltier at 14.5° N, and that the Antarctic Bottom Water became lighter at both latitudes. By applying a box inverse model, the Atlantic Meridional Overturning Circulation (AMOC) was determined. 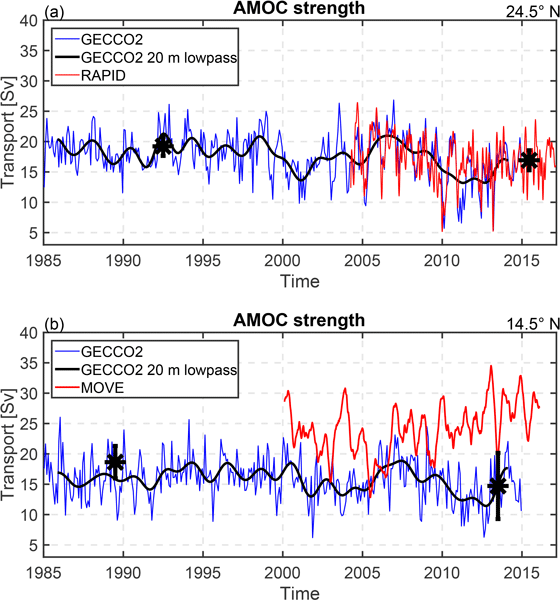 Comparison among the inverse solution, GECCO2, RAPID, and MOVE shows that the AMOC has not significantly changed in the past 20 years. Meteorological observations at Utö Atmospheric and Marine Research Station, the Baltic Sea, started in 1881 and seawater temperature and salinity observations in 1900. Based on the dataset of more than 100 years of observations, we see an increase in atmospheric temperature after the 1980s, in line with reduced sea ice cover. 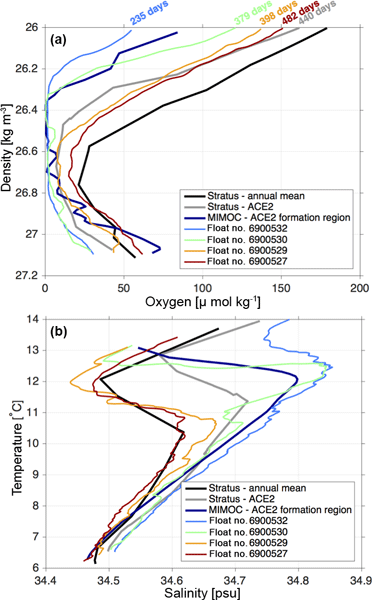 We also found an increase in seawater temperatures, modulated by changes in salinities. 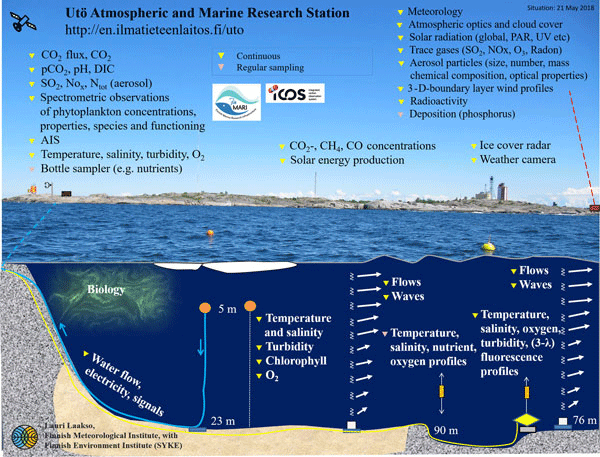 The results indicate that the climate at Utö may have shifted into a new phase. 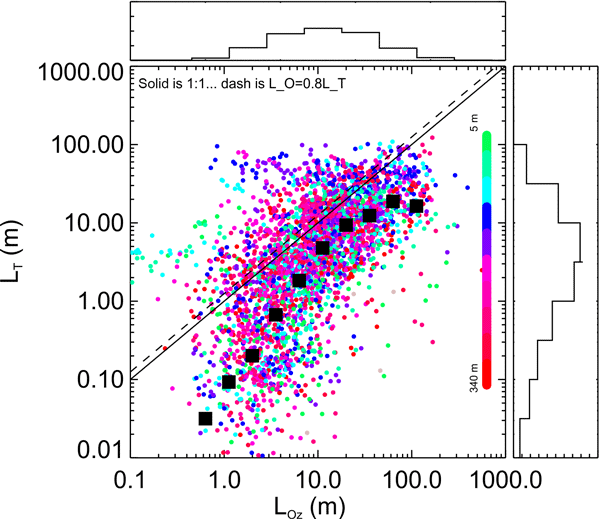 Mesoscale eddies in the Algerian Basin: do they differ as a function of their formation site? The Algerian Basin plays a key role in the WMED, and the formation and propagation of mesoscale structures strongly influence its circulation. They transport water masses, heat, salts and other properties and also have an impact on chlorophyll and fisheries. 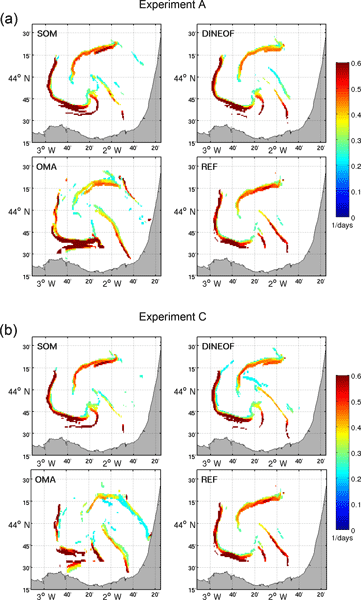 We investigated the spatial and temporal distribution of the eddies by applying a detection and tracking method to altimetry data. The results show mesoscale structures with different origins, behaviours and energies. 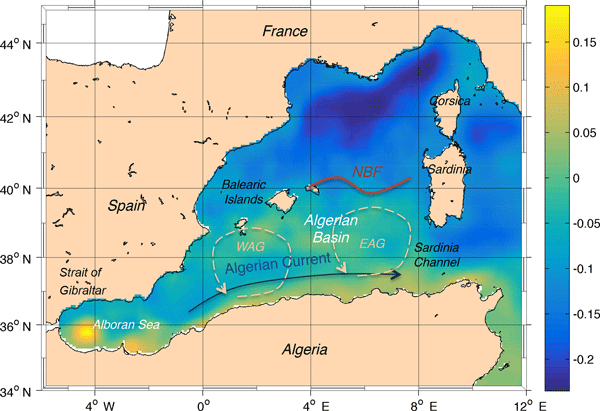 The Northern Current (NC) in the NW Mediterranean Sea is studied by HF radar, glider, vessel survey, wind station, and model. NC variability is dominated by synoptic response to wind events, studied decomposing geostrophic and ageostrophic surface components. 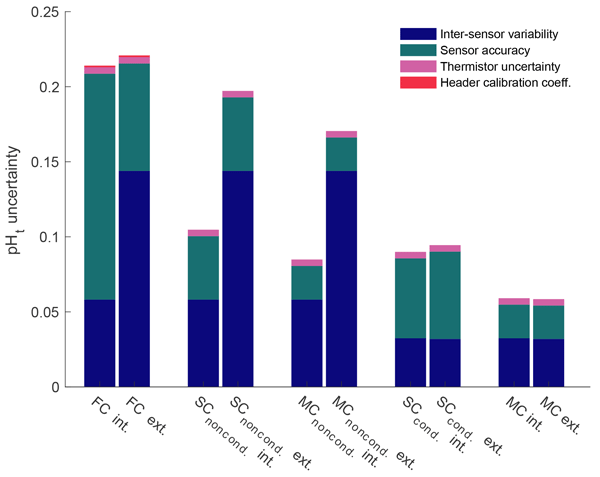 The combination of autonomous observing platforms with classical marine surveys provides high-resolution datasets for scientific purposes and practical applications such as the management of marine resources in the Mediterranean Sea. The mean circulation on the poleward side of the oxygen minimum zone is overlain by eddy activity playing an important role in the distribution of water masses and oxygen within the OMZ. 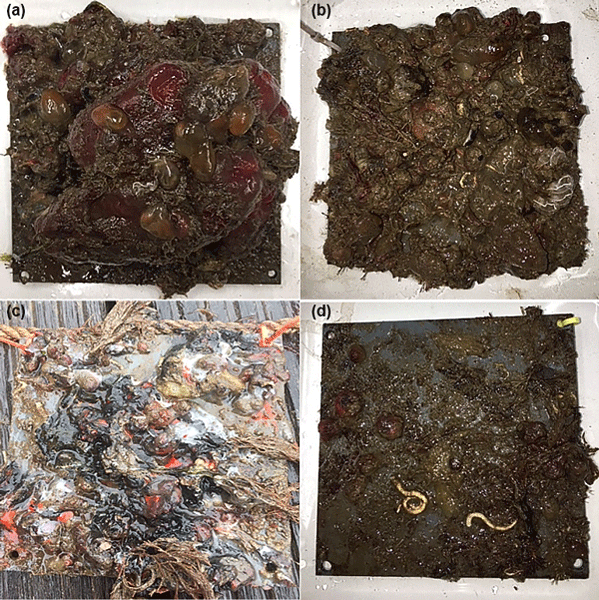 The activity of different types of eddies was investigated during their westward propagation from the formation area off Peru/Chile into the open ocean. The focus was on the development of eddies, seasonal conditions during their formation, and the change of water mass properties transported within the eddies. 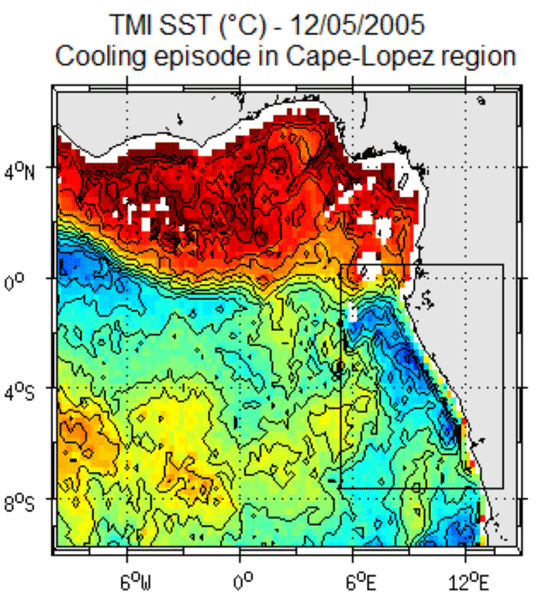 Mixing in the ocean is highly variable and it is often difficult to measure the more energetic regions. 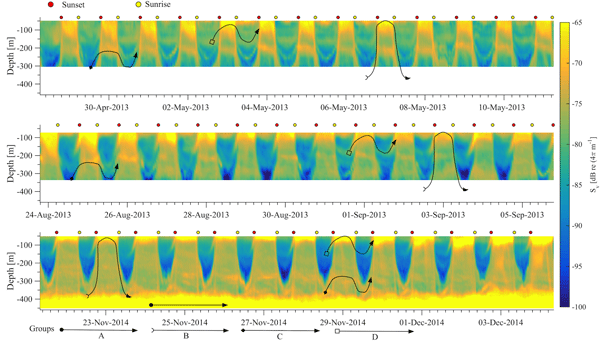 Here we present the first full-depth turbulence profiles from Cook Strait, New Zealand. This 22 km wide channel between the major islands of New Zealand sustains very fast tidally driven flows. The measurements show that large vertical eddies exist, moving water up and down. This will affect stratification, as well as any biology, as it passes through the strait. 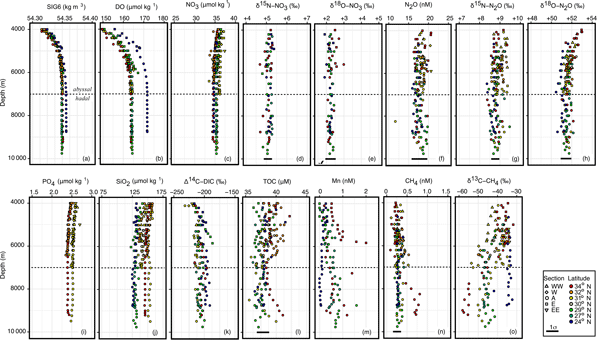 Analysing increased 137Cs and 134Cs / 137Cs ratio derived from the Fukushima Nuclear Power Plant accident in the Sea of Japan and its marginal sea, we found a rapid transport process associated with subduction in the subtropical mode water (STMW) formation region and obduction in the north East China Sea. 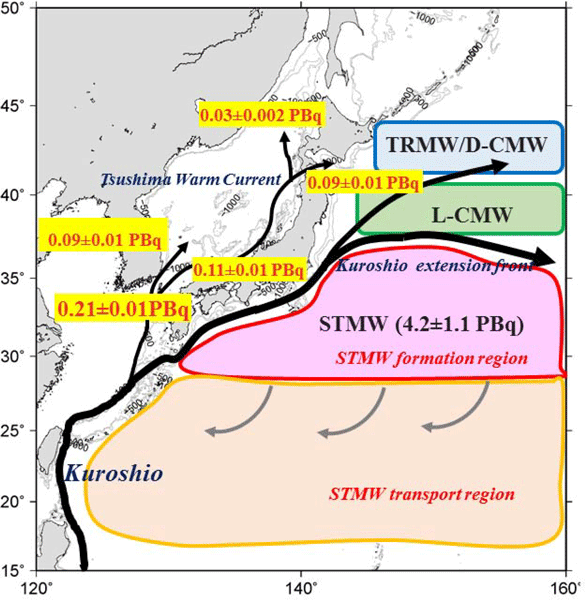 The integrated amount of FNPP1 137Cs entering the Sea of Japan until 2016 was estimated to be 0.21 &pm; 0.03 PBq, which corresponds to 5.1 (3.4–8.0) % of the total amount of FNPP1 137Cs in the STMW. A new methodology to reconstruct HF radar velocity fields based on neural networks is developed. 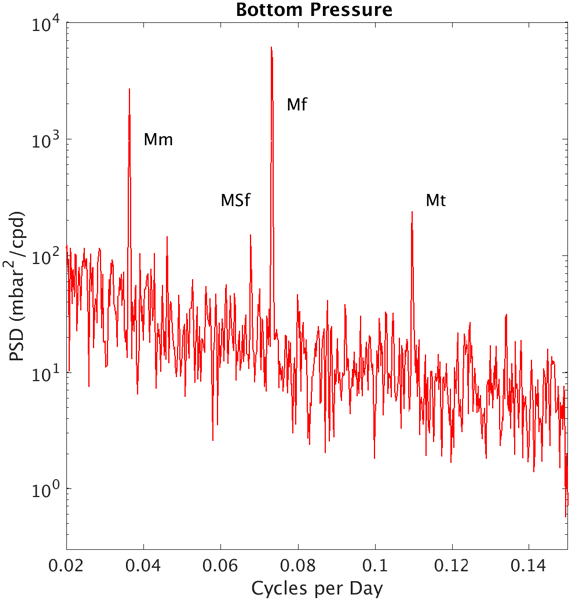 Its performance is compared with other methods focusing on the propagation of errors introduced in the reconstruction of the velocity fields through the trajectories, Lagrangian flow structures and residence times. We find that even when a large number of measurements in the HFR velocity field is missing, the Lagrangian techniques still give an accurate description of oceanic transport properties. 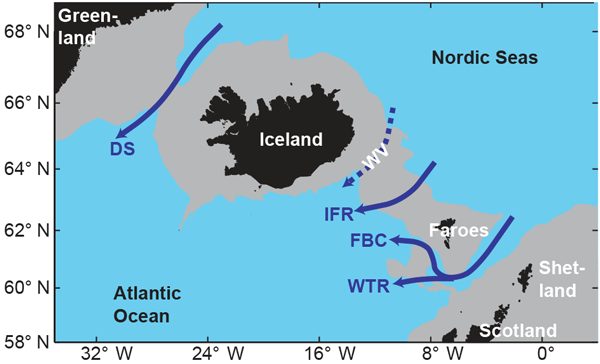 The impact of boreal spring intraseasonal wind bursts on sea surface temperature variability in the eastern tropical Atlantic in 2005 and 2006 is investigated. 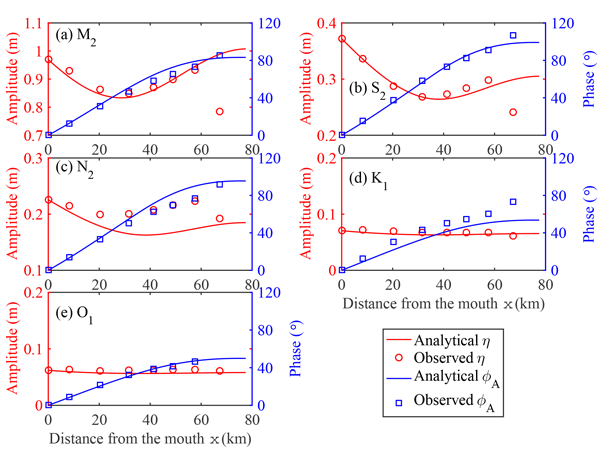 The cooling events induced by southerly wind bursts are modulated by local and remote forcing. A particularly strong wind event and a strong cooling occurred in mid-May 2005. It appears as a decisive event in the West African monsoon onset. This study emphasizes the need to further document and monitor the South Atlantic region. What are the prospects for seasonal prediction of the marine environment of the North-west European Shelf? 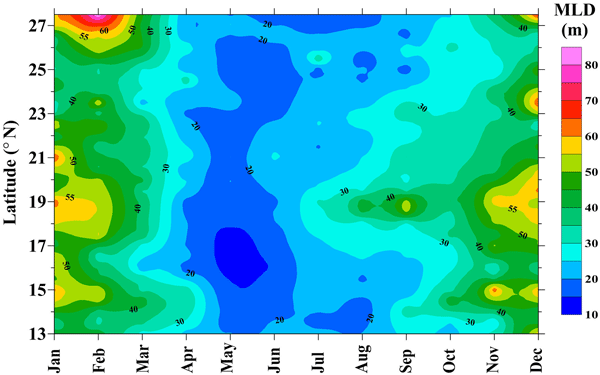 We consider the prospects for seasonal forecasts for the North-west European Shelf (NWS) seas. 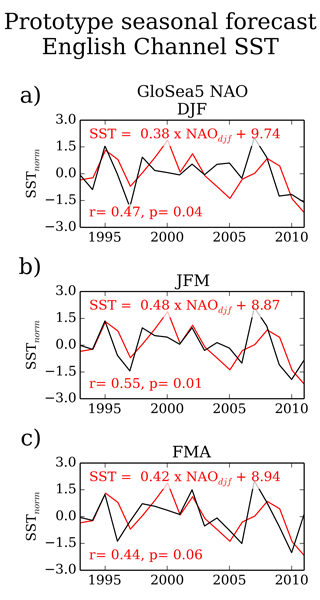 The recent maturation of global seasonal forecast systems and NWS marine reanalyses provide a basis for such forecasts. We assess the potential of three possible approaches: direct use of global forecast fields and empirical and dynamical downscaling. We conclude that there is potential for NWS seasonal forecasts and as an example show a skillful prototype SST forecast for the English Channel. 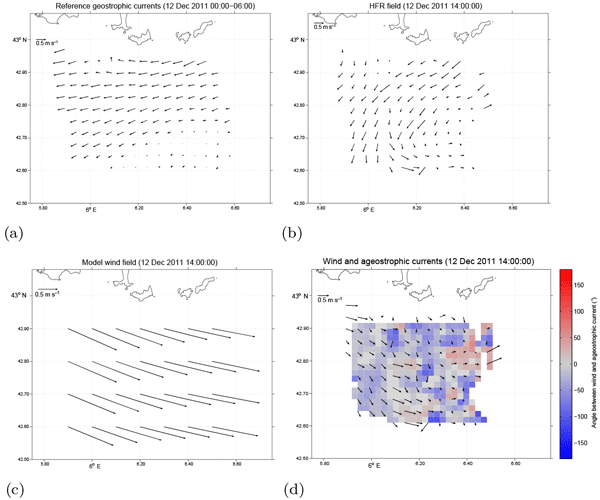 This paper is focused on a new treatment to along-track satellite data so as to improve the processing of information related to the occurrence of extreme values. The main objective is to preserve information concerning the occurrence of short-term extreme events (2-5 days), like cyclones. In this way, the representativeness of these events is enhanced when applying extreme value return analyses. This method allows us to improve our estimation of return periods for risk analyses.